GREATHUNTING.EU: LOS AMERICKÝ Alaska Moose Hunting (one close call) Bowhunting. LOS AMERICKÝ Alaska Moose Hunting (one close call) Bowhunting. Kdo umíte anglicky (nebo s použitím překladače) tak si přečtěte co napsal autor videa. 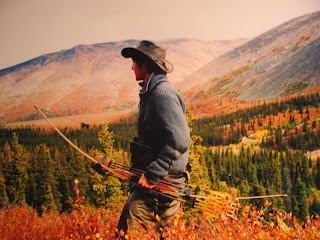 This is my my dad`s friend, David Mowery`s video when they went moose hunting. They were lucky they were not killed being up this close to a mother moose and its baby. But thanks to a scent blocker they had on and their camoflage clothing the moose did not recognize them and walked away. They did decide to let them go for the baby moose`s sake. No blood was spilt this day.